We’ve got NEW owners and are BACK on the Vacation Rental Market ! Make your island fantasies a reality at Island Fanta-Seas !! Our fully equipped 2bd/2bth beach front condo is RIGHT ON THE BEACH !! The 2nd floor location provides a great view and extra privacy. The 240 sq ft gallery (patio) has comfortable furniture and is a great place to relax. Enjoy morning coffee and a sunrise, or a cool drink in the afternoon or evening. Dine al fresco on the gallery, or use additional seating for (4) inside the condo. There is even a telescope for whale watching or checking out Buck Island. 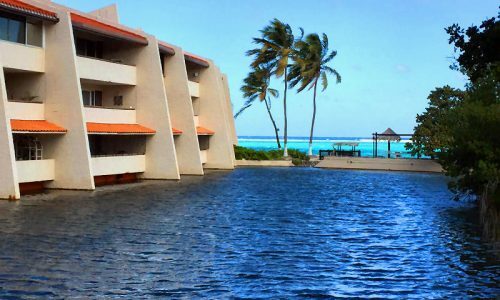 Just steps to our fresh water pool and direct beach access from there. Swim and snorkel in our reef protected water…you’ll find a wide variety of marine life at our artificial reef just a short swim from the shoreline including conch, lobster, rays and an occasional sea turtle. We even provide the snorkel gear !! The master bedroom has an en suite bath with shower and there is another bath in the hall for the second bedroom that has a tub/shower combo. Your spacious living room has comfortable seating and nothing but sea view !! Enjoy Cable TV, DVD player, FREE WiFi and a landline phone for your convenience. Your full size, fully equipped kitchen has all you need to create at-home gourmet meals. There is even a washer/dryer in the unit for your use. 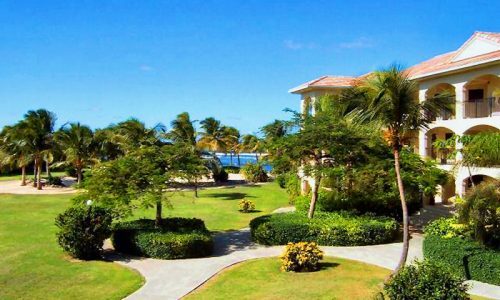 Colony Cove is located beachfront and features a pool, beach, tennis courts, beautifully landscaped gardens and is gated with night and weekend security. 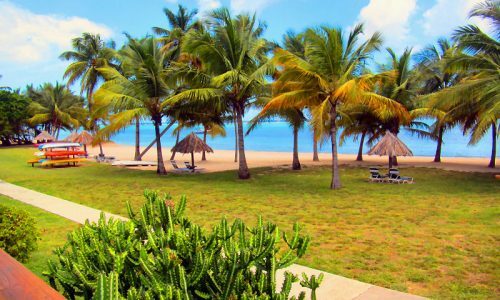 It is conveniently located just west of Christiansted for GREAT dining and shopping. A variety of water sports and boat charters are available close by. 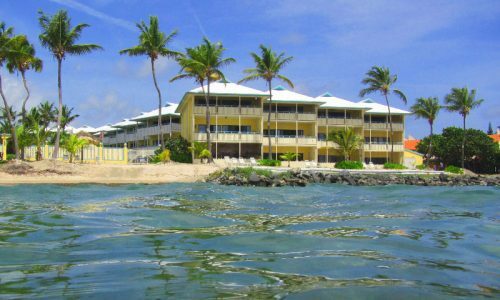 Don’t miss a day sail/snorkel trip to Buck Island..
A rental car is recommended but not necessary. 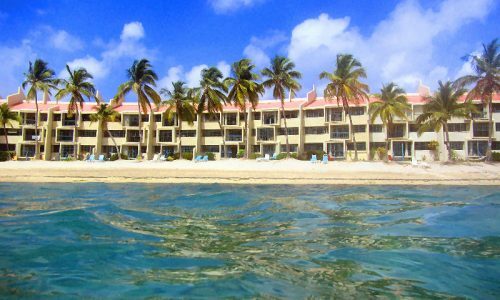 So book now and join us in St Croix…America’s Paradise ! !